Thorek/Scott and Partners would like to congratulate Daniel Simunac, Managing Director & Principal Officer of Raymond James Bank and Conference Chair for ACG Toronto for hosting the 13th Annual Capital Connection conference on November 3rd at the Allstream Centre. 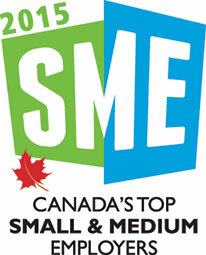 The event boasted a record high attendance of more than 600 business owners, senior executives and investment professionals meeting face-to-face with fellow industry leaders and market-makers from across North America. The event was highlighted by a notable list of speakers who shared their insights on topics such as Regional and Cross-Border Mergers & Acquisitions, Bank Financing and Alternative Lenders, Capital Markets and Co-Invest and Secondary Investments. Keynote speakers included Joshua Harris, Co-Founder of Apollo Global Management and Mitch Joel, President of Mirum, as well as a CEO panel featuring Rossann Williams, SVP & President of Starbucks Canada, Dani Reiss, CEO of Canada Goose, David Rae, President & CEO, Allied Global Holdings and Sean Stephens, CEO Treefrog Inc. and LassoSoft Inc. Jessi Cruickshank, host of Canada’s primetime series, ‘Canada’s Smartest Person’, served as emcee for the all-day event. 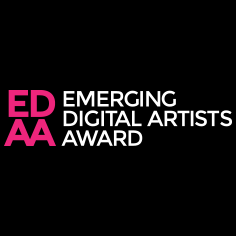 Thorek/Scott and Partners would like to congratulate Andrew Moor, President and CEO of Equitable Bank on hosting the 1st Emerging Digital Artists Award at the AGO on October 30, 2015. The award was presented to Colin Rosati for his work titled Autocidal After-Image. The short six-minute digital video animation explores video and video infrastructures in the context of online networks, systems, and databases. Colin Rosati is a Toronto-based multimedia artist, creating videos and installations that explore digital space and extensions of the physical body. Congratulations to Colin and the team at Equitable Bank for this great initiative! Applications for the Toronto Homecoming 2015 networking event are now open! Thorek/Scott and Partners has been a proud supporter and sponsor of Toronto Homecoming for a number of years. Taking place from October 1-3, Toronto Homecoming 2015 is the ultimate event for Canadians or people with strong ties to Canada who are currently living/working abroad and looking to return home. This annual event connects talented professionals living abroad with dozens of top employers in the city such as RBC, Rogers, KPMG, CPP Investment Board, TD, Shopify and Loblaws. Sound like someone you know? Please pass this along! The deadline to apply is May 31, 2015. In order for the Toronto region to flourish, it is essential to be able to attract and retain top talent, yet many of our region’s top leaders and innovators leave to pursue opportunities elsewhere, often never to return. Toronto Homecoming, an exclusive networking event, aims to bring qualified Canadians working abroad and people with strong ties to the City, back to Toronto by connecting them with professional opportunities in the Region. Toronto Homecoming is a program of the Toronto Region Board of Trade. Since the event’s inception 5 years ago, over 400 participants have attended. Currently more than a third are back living in the Toronto region and many have found jobs with or through our corporate partners. Toronto Homecoming has a broad international reach, having received applications from hundreds of people from dozens of countries across the globe.